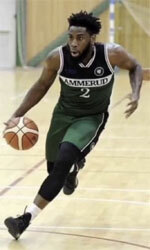 Defending champion Al Naft Baghdad (IBL) inked 27-year old Iraqi international swingman Demario Mayfield (196-95kg-91, college: Angelo State, agency: Two Points). It is actually his comeback to Baghdad as he has played here before. Mayfield has a double citizenship as he also holds American passport. Mayfield started the season at Z Mobile Prishtina in Kosovan Superliga. He managed to play in three competitions this year (!!!). In 10 Superliga games he averaged 14.7ppg, 5.1rpg, 3.9apg and 1.2spg. Mayfield also played 12 games in FIBA Europe Cup, where he averaged 10ppg 4.5rpg 3.1apg. His short experience in Kosovo added to another two short experiences in his career in Saudi Arabia where he played 3 weeks before he got released end of season 2015-2016 and summer 2016 where he played in Bolivia, he came back to Iraq where he played last 3 seasons and won the league title last two years. 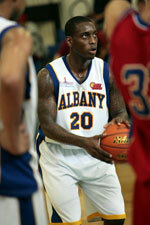 He attended Angelo State until 2015 and it is his fourth season in pro basketball.